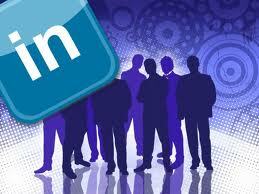 In my LinkedIn workshops I ask how many attendees are on LinkedIn. Some reluctantly raise their hand, clarifying they’re on LinkedIn but haven’t touched it in years. I tell them we’ll do something about that, because otherwise it’s a waste of time. Alison Doyle of About.com wrote an honest article entitled “Don’t Waste Your Time On LinkedIn.” Let me rephrase: If you’re going to be on LinkedIn, do it right so you’re not wasting your time and the time of others who visit your profile, including employers who are searching for talent. What I like about her article was that Alison tells it how it should be. I also like the article because she confirms what I’ve been telling my LinkedIn workshop attendees about not engaging in LinkedIn in a half-baked way. It’s better they hear the truth then spend the time starting a profile only to forget about it and take up space on the many servers LinkedIn use s to host over 120 million users. Amen. Furthermore, she explains that when she is invited to connect with people on LinkedIn and goes to their profile to glean information on them, only to find their title or, worse yet, a “Private Profile,” she’s not likely to connect with them. I sense her frustration and understand the reason for writing her article. She’s absolutely correct. What motivation would I have for connecting with someone who is unidentified? And for you employers, why would you pursue someone who has a profile that gives you very little information in terms of their skills, accomplishments, and related experience? The answer to both is a resounding none. No photo will send a message to employers and potential networkers that you have something to hide—namely age. Whether we like it or not, LinkedIn wants us to be visible. While business people have no reason to fear age discrimination, jobseekers might. Jobseekers simply have to bite the bullet and have faith that their age will not hurt their job search. The Summary section is often neglected by people who simply copy and paste their four-line résumé Summary statement. Folks, we have 2,000 characters with which to work. Let’s use them to craft a creative, descriptive Summary that states our value proposition and showcases our attention-grabbing skills and experience. Have fun and use the first person narrative, or even third person narrative if you’re accomplished. The Experience section is also an area where visitors like to learn more about your identity. Simply listing your job title, company name, and dates of employment says, “I’m too lazy to give this any effort.” This laziness will get you nowhere. List three, four, or five major accomplishments for each job. The last section I’ll address are recommendations, which do a tremendous job of telling visitors who you are through the eyes of your former supervisors, colleagues, vendors, partners, etc. Ask for and write at least five or six recommendations. This is especially important for jobseekers who need to deliver a quick punch. Alison Doyle’s article had a little bite to it—I imagine because so many people with poor profiles asked to connect with her. I took a gamble and asked Alison to be in my network. Within half an hour I was accepted and also invited to join her group. Thank You, Alison. I’m glad I passed the test. This entry was posted in Career Search, LinkedIn and tagged LinkedIn, LinkedIn history, LinkedIn photo, LinkedIn recommendations, LinkedIn summary, Snapshot on October 16, 2011 by Things Career Related. let me add one more comment to your excellent post, I am amazed by how often I see a profile of someone who has switched jobs but still has their previous employers email address listed making it impossible to connect with that person. I receive many comments from students such as: I filled out a LinkedIn profile and have connected to several people I know…now what do I do? How would you answer this question? Ah ha, Kevin. This is not only misleading in terms of being seen as more employable to some employers, it can cause an akward situation. Also, an employer might think you’re not looking. I think it’s laziness in some cases. Put the profile up…and fa getabout it. Hopefully they connected with someone they know and trust. That said, reach out to them with a quick “hey” and tell them their situation. Tell your students to continually build their profile and use it for professional purposes, as well as connect it to Twitter. Facebook…? Really good article, Bob. I think sometimes people are put off by having to learn how to do something new, like use LinkedIn. They are already comfortable with writing resumes. If they’re comfortable with their resume, they can copy and paste the material from it to their profile. It’s a start. Is there one “right way” to use Linkedin? While your advice may be appropriate for the majority, some users, take me for instance, utilize Linkedin as an educational/ professional development resource. A “half baked” profile with full participation on a couple of great professional groups has provided me with what I was looking for here. Everyone has their own idea of how to use LinkedIn, e.g. build their profile, utilize groups, and networking techniques. Mine may way to use LI may be different than yours, and I’m not sure I’m accomplishing all I can from using LI. But I believe people should dedicate a fair amount of effort toward LI, whether it’s four hours a week, one hour a day, or two hours a day. Some see result from a huge commitment, while others see results from minimal effort.